A bridge too far? 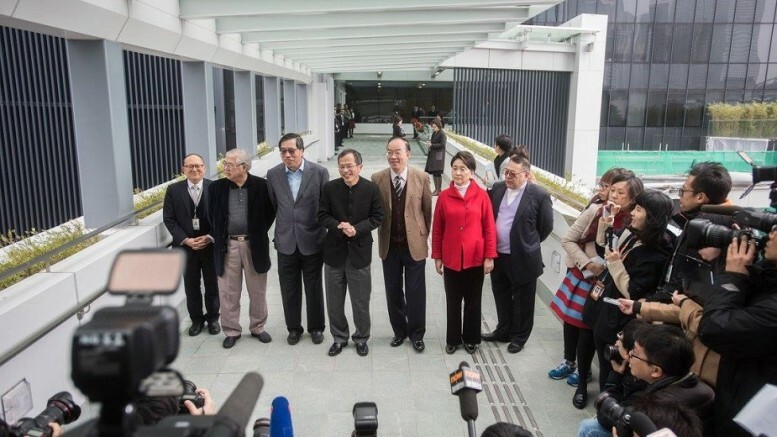 Legislative Council President Tsang Yok-sing and members at Legco bridge. He fears the Bills Committee system may become malfunctioning. People watching live broadcast of Legislative Council meetings scrutinising bills may ask why some members who speak are not familiar with the bills and that some lawmakers simply do not join the debate. The fact is not all legislators are concerned with and understand every bill tabled for scrutiny and approval at Legco. Legco often handles more than 10 bills at the same time. No lawmaker can possibly take part in the scrutiny of every bill. In general, the second reading debate of a bill will be adjourned so that the bill can be studied by a Bills Committee set up specifically for this purpose. Every lawmaker will decide whether to join a Bills Committee taking into consideration factors including his workload and the degree of his concern about the bill. There may only be a few members in some Bills Committees if the bills are not contentious and public concern about it is not strong. On the other hand, members will be keen to join a Bills Committee if the bill is highly controversial and that the public are seriously concerned about it. The workload of a Bills Committees hinges upon the complexity of the bill. It may take only a few meetings for a Bills Committee to finish its work if the bill is relatively simple. But if a bills is complicated and lengthy, the relevant committees may take months, or even years, to finish its work. Those who sit on a Bills Committee naturally know better than others about the bills, especially when it is complicated and involves a lot of technical issues. A Bills Committee will submit its reports to the Council after it finishes its work. The relevant bills will then go back to the Council for resumption of its second reading debate. If a motion for the second reading is agreed to, the bill will enter its committee stage in which every clause and amendment will be debated and voted on. Normally, those who speak at the second reading and committee stage debates are members who have taken part in the work of the Bills Committee. They are more familiar with the content and the contentious issues of the bills. Other members seldom take part in the debates. That said, scrutinising bills is the responsibility and right of Legco members. Those who have not joined a Bills Committee can of course join the debate during second reading and the committee stage. The normal procedure of the handling of bills will become ineffective if a lot of members who are originally not concerned about a bill and have not joined the Bills Committee discussion decided to speak at the second reading and committee stage debates for special reasons. For instance, some may want to block a vote on the bills by filibustering. All the work of a Bills Committee will become futile if some members unfamiliar with it raise issues that have already been thoroughly discussed at the Bills Committee, and the debate has to start from scratch. The whole procedure of the scrutiny of bills at the Legco, in particular the practical function of a Bills Committee, must be reviewed if such a phenomenon comes up very often. Tsang Yok-sing is President of the Hong Kong Legislative Council. This is a translated version of his regular column published in Chinese-language AM730 on March 10. Be the first to comment on "Malfunctioning legislative procedure needs review"